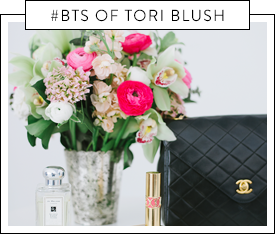 Tori Blush Academy was created to provide our students with theoretical and practical knowledge in the art of makeup and hair design. Compared to traditional makeup schools, our Academy provides specialized and focused workshops that give you the option to choose only the ones that interest you, without having to commit to lengthy and expensive programs. 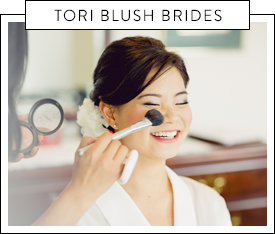 In addition to courses for industry professionals, Tori Blush Academy provides workshops for women wanting to learn the basics of doing their own makeup and hair for everyday and special occasions. Check back regularly to see our current course offerings. 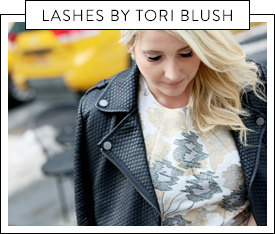 Become a Certified Lash Artist with Tori Blush! We are now thrilled to offer a 1 Day intensive Certification Course where you will learn the art of Classic Lash Extensions. Tori Blush Academy will train you from start to finish on how to safely, effectively and professionally create a beautiful set of Classic (1:1) Lash Extensions on your clients! Not only that, we will teach you how to build your client base and keep them loyal! You will be trained by Founder and Principal Artist, Suzanna Chun who has 7 years of experience and is a 2 times Certified Advanced Lash Extension Artist. Suzanna’s Lash Artist handbook and curriculum was a labour of love, written to equip her students with latest and cutting edge techniques, aspects of business development, building a brand and how to promote yourself to begin a successful career in Lash Artistry. You will also receive ongoing support and mentorship well beyond your course. We require students to perfect their craft with continual practise and to complete a practicum of 10 models/clients lash work to be critiqued and evaluated. Once Suzanna feels your work meets the standards of the Tori Blush Academy, your Certificate will be mailed to you. We provide hands on, personalized training for expedited growth with instruction by Suzanna and practicum assistance by Lead Artist, Ruby. Class sizes are kept to a maximum of 6 students to ensure plenty of time for you to observe, ask questions and receive feedback from your instructor. Our next class date is: TBD. Your only requirement is to bring 2 models for your training day. Your model will receive a half to full set of lash extensions done by you, under strict supervision of Suzanna. The fee for this certification course is $1500 CDN plus GST. Course fees are due at time of registration, and are payable by Cash, Credit or Interac Email Transfer. Course fees are non-refundable. Should you need to cancel your registration due to unforeseen circumstances, your fee may be deferred to our next course offering + a re-enrollment fee of $250. In this 1.5 hour workshop, we will be walking you through a full-faced makeup application, starting with daytime-friendly makeup and transitioning to a more dramatic effect, perfect for a night out! You will be taught easy tips and tricks that you can apply to your own makeup routine. Gather your besties and co-workers and come hang out at the studio! The fee for this make-up workshop in studio per person is $100 CDN plus GST – minimum party of 4. For a private one-on-one session, there will be additional $50 fee. A non-refundable deposit of $100 is required to hold the date and to ensure the studio will be reserved for your party (this $100 deposit will be applied towards your workshop fee on the day of!) Fees are payable by Cash, Credit or Interac Email Transfer. To book a workshop, simply submit a contact form, let us know how many people will be in your workshop (parties of 4-6) and what day you’d like to schedule the workshop for!